With a limited run of just 500 cars, the six model range will be heralded by the flagship Launch Edition. 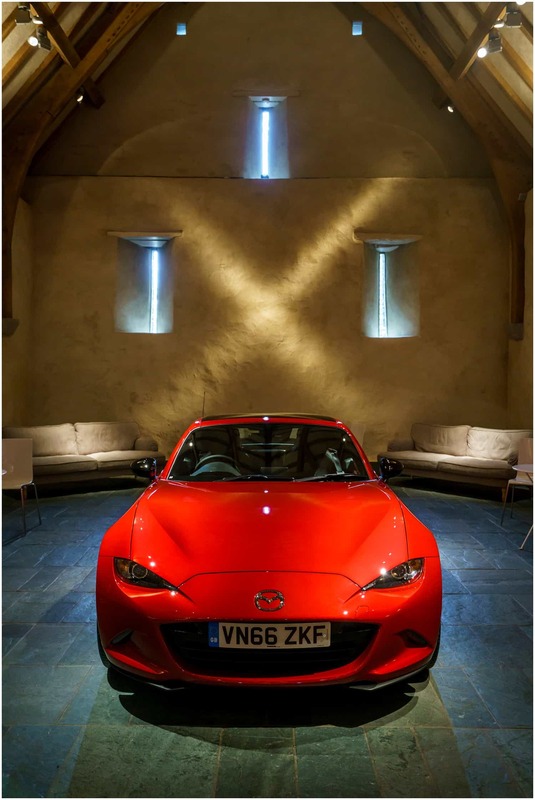 Powered by a 160ps 2.0-litre SKYACTIV-G engine, the Launch Edition is marked out by its unique twin-tone roof, 17” BBS wheels, black door mirrors and black rear spoiler. Available with a choice of free-of-charge Soul Red or Machine Grey Metallic paint, it also comes with a Safety Pack as standard, while the exclusive feel continues inside with Alcantara trim and Recaro seats. 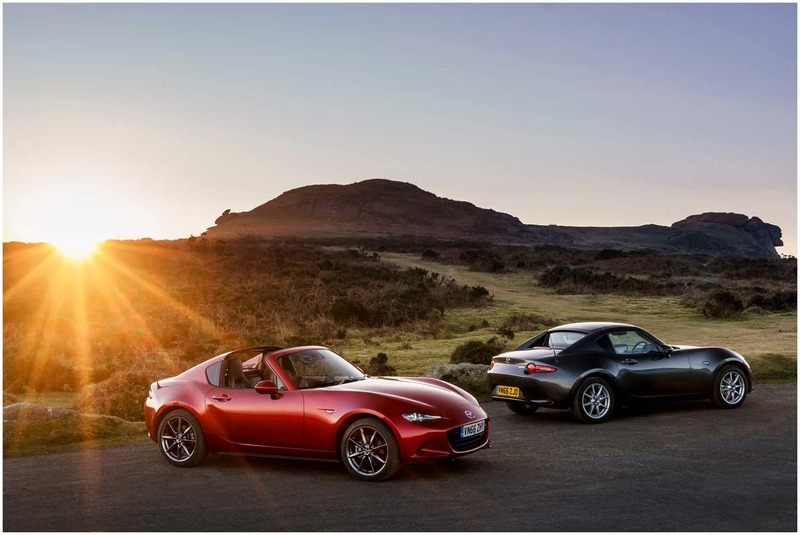 Alongside the new model were 4 vintage Mazdas all of which had been delivered by a huge juggernaut which parked up by the racecourse, the cars one by one were then put into a trailer and brought down into the valley. 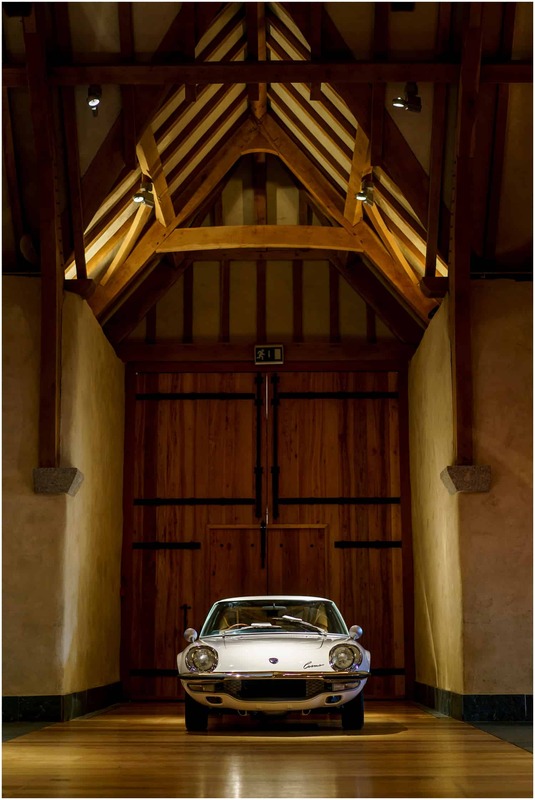 The two big double doors at the back of the Barn were opened and the cars pushed in. John then did a brilliant job lighting them. 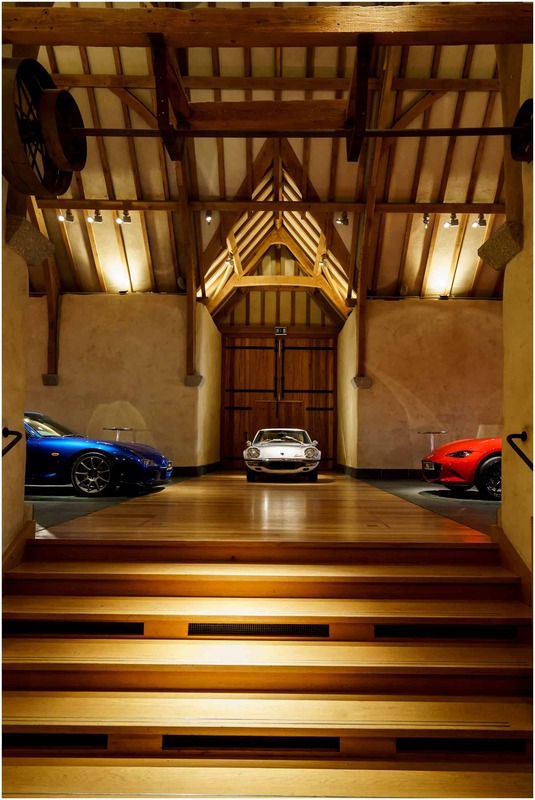 Two other cars were parked outside next to the big front doors and when all the journalists had arrived, the courtyard was filled to the brim with amazing sports cars! While the journalists looked at the cars, we filled them full of a delicious Dartmoor Kitchen lunch, coffee, cakes and fruit. They then climbed back in their cars and drove across Dartmoor, arriving at the Salcombe Harbour Hotel for dinner and an over night stay. If you are interested in hiring The Great Barn (or its smaller sister, The West Barn) for your next conference, event or product launch, just give us a call or send us an email with all the details.